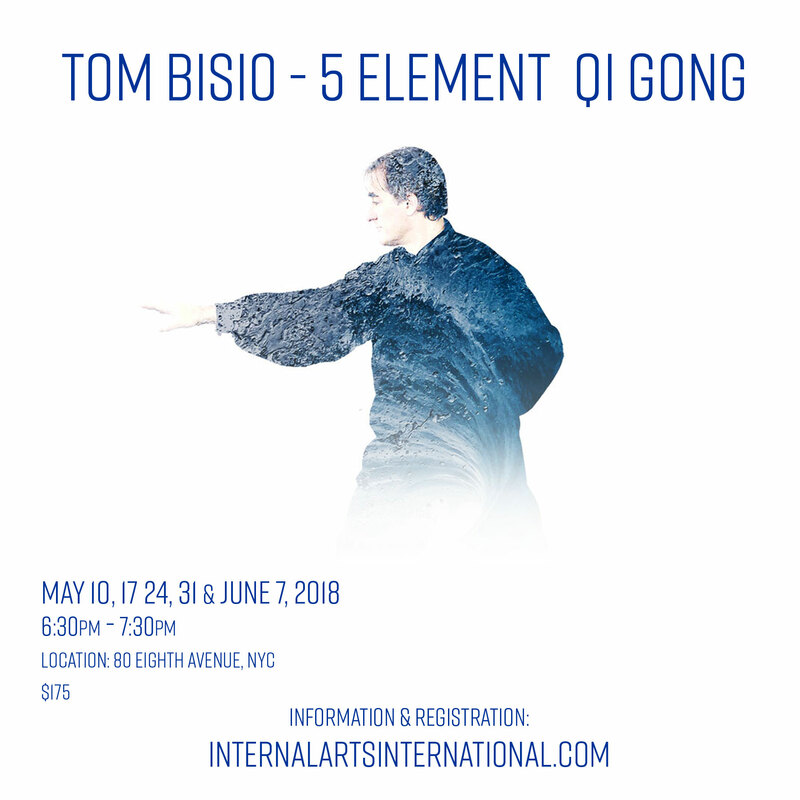 Five Element Qi Gong is one of the crown jewels of the Taoist rejuvenation practices. Five Element Qi Gong is complete system for healing and preventing disease in the internal organs and their associated meridians and tissues. This simple and elegant set of exercises activates and harmonizes the internal organs, while clearing internal blockages that are often the underlying cause of fatigue and poor health. Five Element Gong can be performed in 20-25 minutes a day. The nine exercises are easy to learn and enjoyable to perform, making them easy to integrate into your daily life. The seemingly simple movements have many hidden depths and benefits that reveal themselves over time through practice. The theory and practice of integrating the Five Elements provides a unique window into the human body’s to maintain balance and inner harmony. Learning to balance and regulate the Five Elements and Five Organs – Lung-Metal, Kidney-Water, Liver-Wood, Heart-Fire and Spleen-Heart – interweaves the body’s diverse systems and regulatory mechanisms into an organic unity, thereby promoting health, a calm, untroubled mind, and a vital spirit. No prior experience in Nei Gong or Qi Gong is necessary!